Hi, I started working with **Edited for community guidelines** a couple days back. It was for a post that is no longer available, where he is offering a large amount of money for relatively simple work (it's more than the ordinary - $2,800 usd). I'm new to Upwork so I took the bait and started working for him. First he asked me to consult his logo as a "test", since I didn't know this isn't what you do, I told him what I thought. Then he offered me a contract, but he refused to fund the milestones related to work he was asking. This was a $2,800 job and he funded a $5 "start" milestone and a $2795 "end". I asked him to change it but he refused and I left with a bad impression of him but decided to work. **Edited for community guidelines** but it didn't specify anything about the job description except for "you agreed upon terms with our CEO". This was sketchy. I looked at their profile, and they where offering huge amounts of money and where interviewing a ton of people (even though I already had the job) and the job wasn't closed because it was opened through another profile. Also, they wanted me to work through "google drive" so they could see my development. Which I guess they just wanted to steal without pay. I checked at their profile and they currently have 5 jobs posted 0% hire rate and in the second about 15 jobs posted, several hires but no amount of money payed. - Redflag again. When working, he asked me several times for my opinions on somewhat related work, but not what he had hired me to do. We talked for a large chunk of the day, him constantly asking me for advice. Upon reading more, I asked Edward to change the terms and conditions and update the Milestones to the work that I would be working on, so change it to 70% for the first draft, 20% for the second and 10% for the final. He refused. He said, we has worked with upwork before, if you want to work this way (with funded milestones) we can cancel the contract. I told him it was fine, and I cancelled the contract myself. , so it was definitely fake. I have all the messages and contract to prove what I'm saying. But I definitely think this is a scam, of a person who is pretending to be someone else, asking people for work upfront with promises of a lot of money in the end, and my guess he would cancel the contract before one would deliver. How can I make sure it is deleted? Also, we didn't exchange any money, but I'm afraid his private feedback will affect my rating, does this happen? I've already flagged the job posts as inappropriate, but taking into account how quickly he opens and closes them I want to report the client himself. It never seizes to amaze me how many red flags people totally ignore before they realise that when something sounds too good to be true, almost certainly and almost always is. What was their hiring history like? 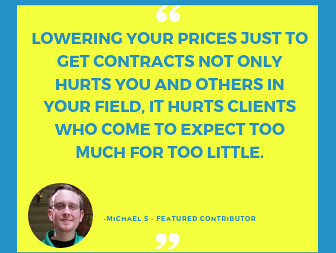 The cancelled contract (0 paid) will hurt your JSS even if the client does not leave poor feedback - Contracts that are 0 paid without feedback are about as bad as contracts with poor feedback, unless the client is kicked off the platform. The good news is that you have learned from your mistakes with this experience and you will not make those same mistakes again in the future. When something looks WAY too good to be true it most likely is a scam. There are jobs that offer a large amount of money, but the work involved warrants that. Did you really think that a SIMPLE job would pay that much? Really? If you just looked at the logo and told him what you thought that's ok. But if you had to actually do something as a test, then you should have been paid for it. Also, it's not a good idea to give a detailed synopsis for the logo, For that you should be paid. Think of that as a consultation. No matter was was entered in for the budget, no matter what was offered, no matter what was agreed on the ONLY thing that matters is what the client funds the milestone(s) for. If only $5 was funded, even if you worked 50 hours, at the end, you will ONLY get what's available in escrow. In this case, you would only get $5. Always make sure escrow is FULLY funded either for the entire job or for each milestone as them come up BEFORE you start work. 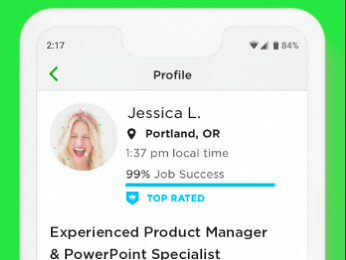 You should have checked the clients profile/stats before you even applied for the job, or accepted any interview or contract. That's what they are there for, just as your feedback/reviews are there for. It's ok to work outside of this site, Also it's ok to communicate outside this site, but the actual hiring and ALL financial transactions Must be done on this site. it's also a good idea to copy the work, and communication into the work room/message so you have documentation should a problem or dispute arise. By reporting the job, that also includes the client. Unfortunately, as quick as a client's account is suspended they open another one up with a different e mail address. I have seen on this site jobs asking for freelancers to create 50 new email accounts. It's a good bet that they would be used to open up new accounts should their accounts that they are using now, be suspended. The only thing you can do, if you see other jobs like that (a very large budget for a simple job with clients stats similar to what you saw, is to report them. With all those suspicious, and a ton of red flags and problems, why did you still continue working with this client. Please go through the help section to familiarize yourself with the procedures here and how to work correctly. That happened to me also, last week! 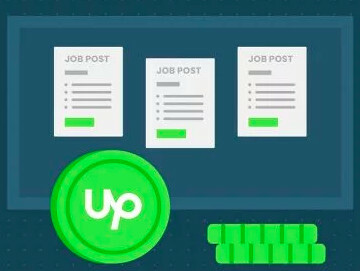 Upwork should ban those scammers. For me, this is a full-time job and it is so sad to hear that my JSS will be ruin by non-reliable clients that want free work from hard-working Freelancers, such as me and Sebastian. Sad to see these episodes happening in such a professional platform.